Trade in the popular pastels of the spring season for a vibrant palette of pinks, yellows, oranges and blues. Incorporate color into everything, from your custom wedding invitations and linens to flowers and patterned bridesmaid dresses—your signature cocktail is also a perfect place to inject some color. Just remember to keep things neat. Too many bright hues in one place could leave things looking messy instead of sophisticated. Stick with two hues that work well together (like yellow and pink) or switch things up the variations of one color (like baby pink, magenta, and rouge). 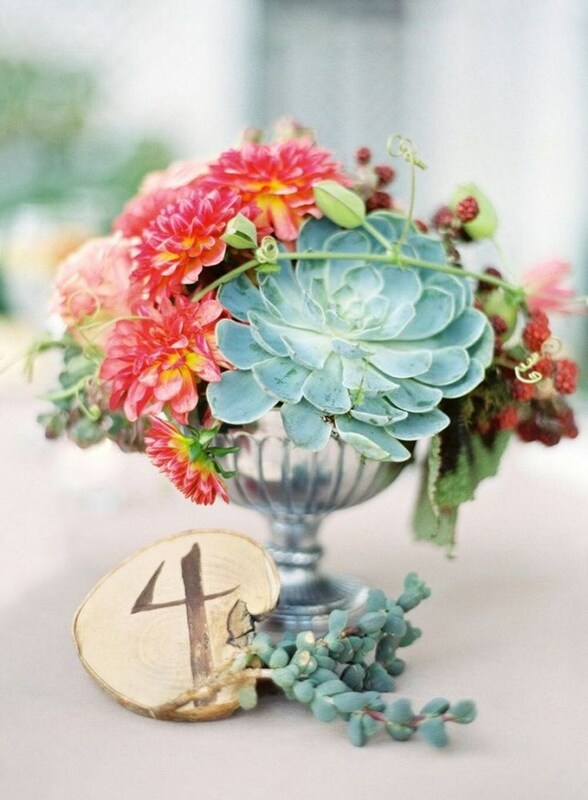 Spice up the traditional wedding floral arrangements with succulent plants. Our friends at Dalismer Atlas Floral & Event Decorators in Deerfield Beach say succulents are getting super popular among their wedding clients right now. Pair the rich greens and purples of succulents with also-popular wildflowers to create vibrant, “untamed” bouquets and centerpieces. Another trend when it comes to flowers and décor? Suspended, geometric centerpieces. Whether it’s a few garlands of wildflowers strung through hoops or rafters or centerpieces suspended over tables, it’s all about creating something that will really catch your guests’ eye. 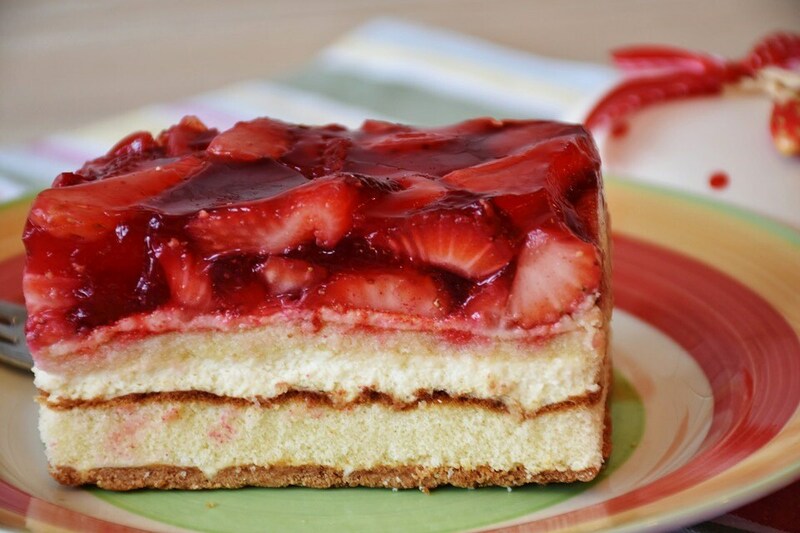 Cakes with little to no frosting and more fruit are very popular right now and perfect for the summer months. Dress up your cake with fresh summer fruits to add a sweet, fresh punch. Think fresh strawberries and whipped cream filling for a strawberry shortcake-style wedding cake, or a citrus-infused filling like Key lime with fresh lime garnish. Delish! Pick a color base and let your girl gang do their own thing. 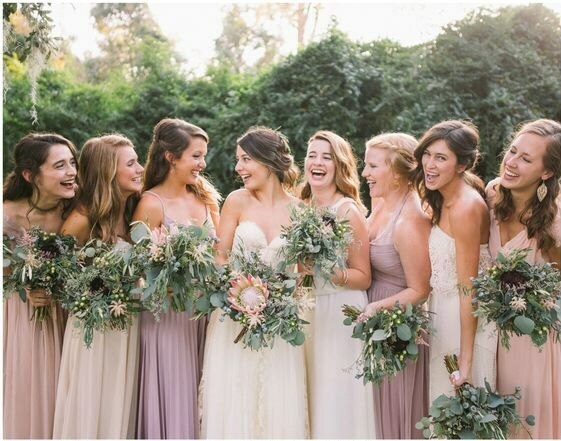 Mismatched bridesmaids dresses are super trendy right now, and also perfect for a laidback summer wedding. Help your girls out by giving them guidelines (like length or sleeve preferences) and color swatches. Then let them do the rest! Or you can opt to pick a dress and let your gal pals choose from a number of colors and/or shades. Think glittery shadows and bold lips! A bold pop of red or fuchsia on the lips is a perfect way to amp up your bridal look for the reception without having to put too much effort in. What’s hot in hair? 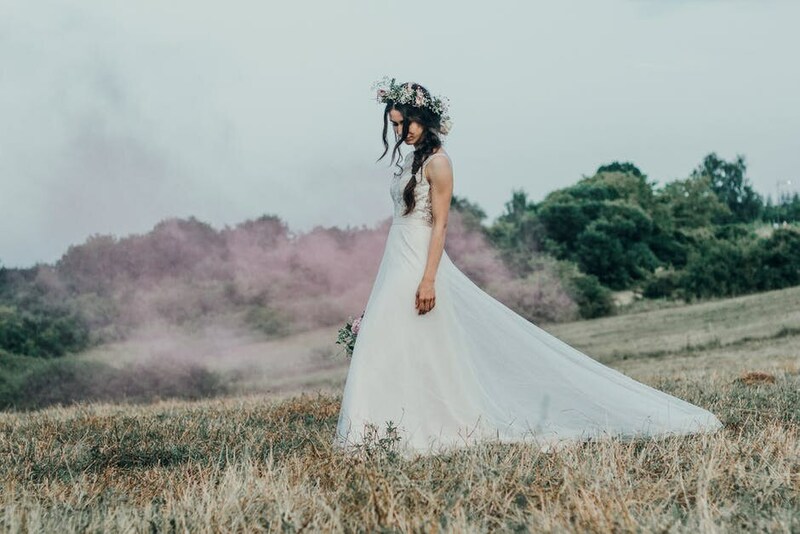 With more and more brides opting to forego the veil, loose, tousled updos styled with a chic hair piece in lieu of a traditional veil seem like the way to go this summer. Think flower crowns and halo headbands – the possibilities are endless. 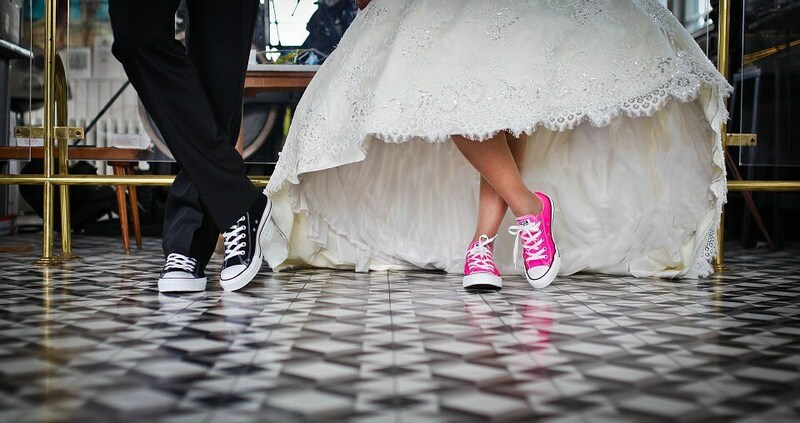 Everyone loves a classic beach or winery wedding, but brides this summer are taking their themes to the next level. Rather than just any beach, bring in elements specific to the beach you remember as a kid. If it was a cabin by a local lake, try a mountain theme. Another idea: Honor your honeymoon destination within your theme. If you’re honeymooning in Hawaii, add orchids to your bouquets or fill the bottoms of your centerpiece vases with black lava rocks. Aloha! Use colors in a new and unexpected way on your summer wedding invites by reversing the typical invitation color scheme. For example, rather than using turquoise lettering on a cream-colored invite, opt for cream print on turquoise paper. Or mix it up — do the cream-colored invite with fuchsia writing, and then a bright pink reply card with a cream-colored font. You can also add a pop of something different to your invites with envelope liners. Add glitter or patterned envelope liners to your invite suite for something fun and festive. 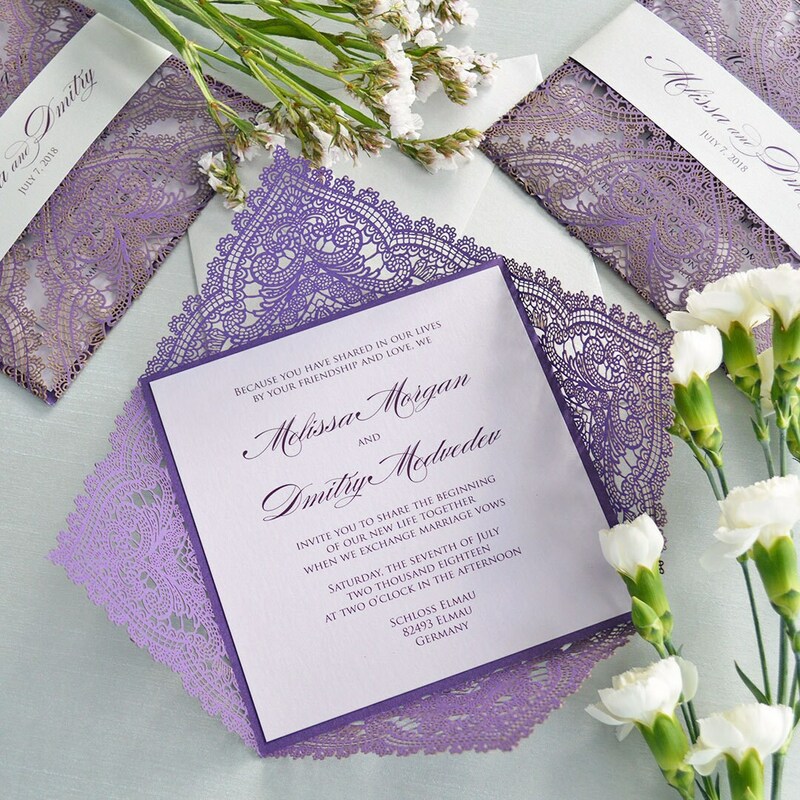 At PAPER & LACE, we can help you create the perfect, custom invites for your summer wedding! From bold colors, to beachy patterns with crystal starfish embellishments, we can help you create an invite that speaks true to your wedding theme, color scheme, and who you and your husband-to-be are as a couple. Browse our custom wedding stationery today and let’s create something perfect for your summer wedding! Next Post ENGAGEMENT PARTY PLANNING 101: A TOTAL GUIDE TO CELEBRATING SAYING YES!